The Jeopardy of Contentment: Concert Announcement: M.I.A. 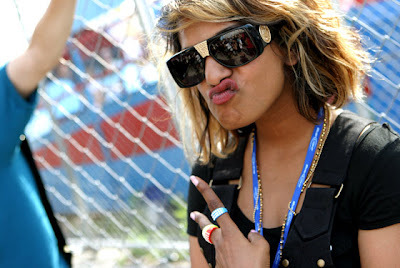 Love her or hate her, you gotta admit M.I.A. is a pretty intriguing figure in modern music. Her albums are critically lauded but somewhat polarizing with a lot of the music fans I have talked with. Regardless if you are a fan don't miss this show (her live shows are said to be outstanding) unless you'll be in St. Louis that night seeing Radiohead or down the street seeing Wilco. She'll be playing at Liberty Hall in Lawrence on May 14th.